As the police have embraced leading roles in new areas such as counter-terrorism, their importance to the community has never been greater nor their presence more visible. At the same time, Denver and other cities around the country are witnessing sensitive confrontations between police and the citizens. Join City Club of Denver for a discussion with Police Chief White on the relationship between police and the community and the future of law enforcement in Denver. Police Chief White will also discuss how the rapid growth of the City of Denver during his tenure has impacted the police department. Robert White began his law enforcement career in 1972 as an officer with the Metropolitan Police Department in Washington, DC, where he worked for more than 20 years, rising to the rank of Assistant Chief of Police. He then served as Chief of Police in Greensboro, North Carolina for four-and-a-half years. 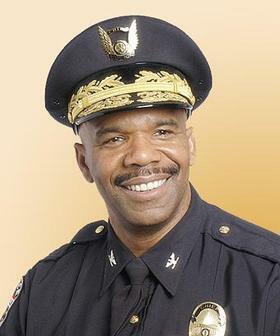 He was appointed Louisville Police Chief in 2003, to command the 22nd-largest police department in the nation. He assumed command of the Denver Police force in December, 2011. White is married and has three children.